Track and Sport colors from Schuberth: Go Faster, Look Sharper! 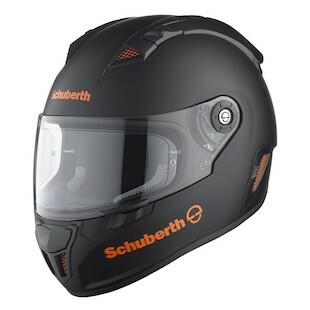 Upper echelon of the motorcycle helmet world, Schuberth tops the charts in many categories, but has been lacking in the color and design department for a while. No longer! Schuberth’s ultra-high-end track helmet, the SR1, has a brand new look. 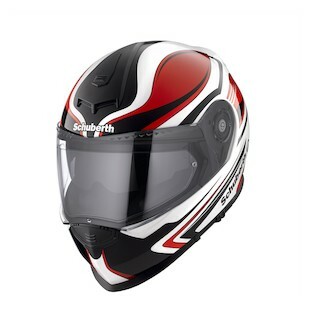 The Schuberth SR1 Stealth Graphic is available in any color you’d like as long as it’s black. Actually, that’s not entirely true. The matte black helmets will come with your choice of red, blue or orange details and logos just so that you can show off your exquisite taste in race helmets with a little flair. The sporty S2 helmet is also getting a pair of fast graphics as well. As with all of Schuberth’s graphics, the decals are hand laid underneath the clearcoat and the paint transitions perfectly between glossy and metallic finishes. 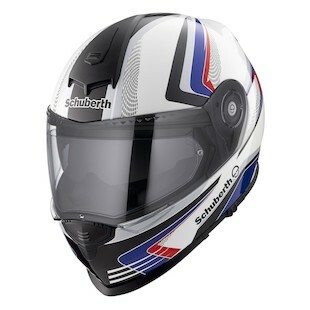 The Schuberth S2 Ghost Graphic incorporates stripes and patterns in either a Black/Silver or a Red/White/Blue that would look perfectly at home on an S1000RR with that same color scheme. The Schuberth S2 Sport Tech Graphic has a more fluid design that looks like it is inspired by the airflow models used in Schuberth’s wind tunnel testing. We all know that well-placed color makes you go faster (duh!) and Schuberth's new graphics are no exceptions. Given their reputation, these colorways will likely make the helmet quieter, more aerodynamic, and more comfortable too -- just a theory, though.